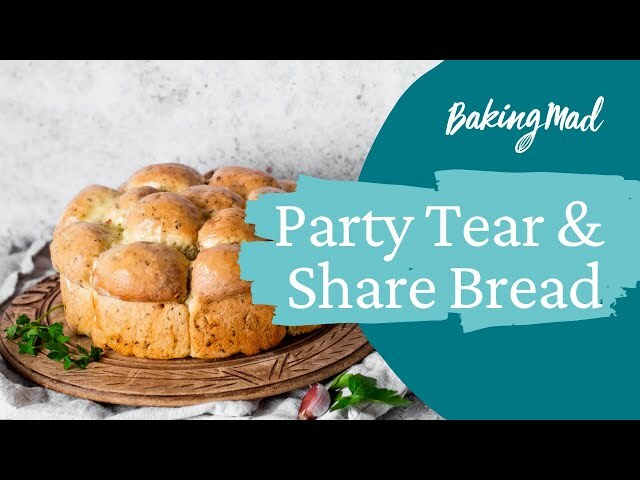 This tear and share bread is rich and delicious, serve with Lincolnshire poacher cheese for a truly regional treat. In a bowl add the yeast with the tepid milk and a tablespoon of the sugar and leave for 10 minutes to start bubbling. Stir the rest of the sugar, butter, egg and vanilla extract into the yeast milk mixture when it has started to bubble. Add the flour to a large bowl with the salt and spices and mix. Pour the wet ingredients in to the flour and bring together to make a dough. Tip the dough out onto a floured surface, add the fruit to the dough and knead in until evenly distributed. Divide the dough into 6 pieces and roll into neat balls and place in a circle about 1cm apart from each other, with one in the middle on a lined baking sheet. Cover the dough with a tea towel and leave to prove for another 30 - 45 minutes until slightly puffed and the balls have joined together. Preheat the oven to 190C (fan 170C, gas mark 5). Brush the bread all over with milk and bake in the oven for 30 minutes until risen and golden brown. Serve warm with Lincolnshire poacher cheese.